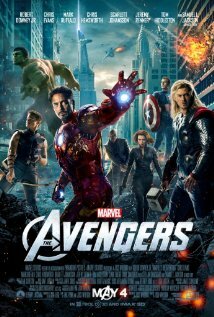 The Avengers movie presented by Marvel Comics and directed by Joss Whedon, stars a cast filled with household named Hollywood actors. There is a major threat that looms upon the Earth and it’s survival. Recruited by Nick Fury, The Avengers aka Iron man, Thor, The Hulk, Black Widow, Hawk Eye and Captain America come together to battle Thor’s great enemy, his step brother the God Loki. Loki plans to take over the Earth and rule over the human race by any means necessary. The movie takes the theater goer on an action packed thrill ride that comic book fans and fans of just plain great entertainment will never forget. The writers and director blend the perfect amount of unique individual character development while staying true to The Avengers storyline, as well as their goal as a unified group. Joss Whedon does a wonderful job with presenting the movie in a visually stunning manner by exposing the movie watcher with a variety of stimulating scenes and worlds without loosing focus in over exaggerated special effects. The themes of strength, perseverance, survival and team work are combined in ways that work well together. It tells a well written story and leaves the movie goer completely satisfied, entertained, and contemplating what is yet to come in the sequel. This movie is a definite must see and worth the extra cash for the 3D experience. I give this movie five stars. Happy Reading, Writing and Creating!!! Agree with everything except the 3-D. Maybe it’s just me, but I don’t even notice the 3-D effects anymore. They were cool in the first movie that ever used it, but now I get absorbed by the story line and couldn’t care less if it was in 3-D or 2-D.